Copper is widely used in the power, telecoms and construction sectors and is often seen as a leading indicator for economic growth. In an excellent piece about how the prognostic abilities of copper has diminished, Bloomberg tapped one of the sages (or villains) of the financial world for his views. 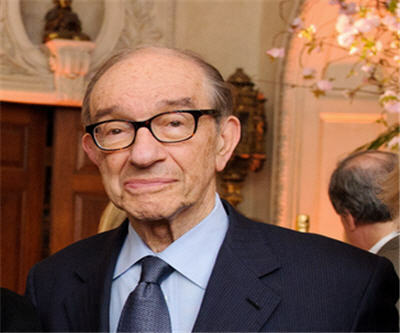 "Shifts in the economy’s makeup have reduced the role of industrial commodities, including copper, as indicators of growth and inflation, according to Greenspan, 88, who was Fed chairman from 1987 to 2006. Services account for 87 percent of U.S. economic output, compared with 72 percent in the early 1950s, shrinking the share of manufacturing to less than 13 percent from 28 percent, Commerce Department data show. "In the 1950s and 1960s, when timely data on industrial trends were lacking, I found copper prices a very useful proxy,” Greenspan, whose first job in 1948 was analyzing metals demand for the National Industrial Conference Board, said by e-mail. “That, of course, is less so today. But I still cannot resist checking prices on both the London Metal Exchange and Comex on a daily basis." *TIL: Web acronym for Today I Learned.